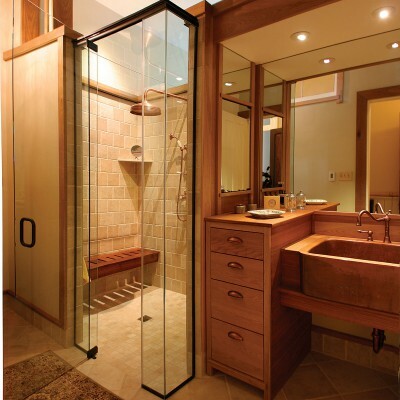 The Schluter Shower Kit has absolutely revolutionized the way that showers are now constructed and water-proofed. Schluter Kerdi Shower offers a wide range of fully integrated components for building a high-quality shower that incorporates superior waterproofing technology with point drainage, which is not only easy to install but also offer a so many design options with bathroom comfort. 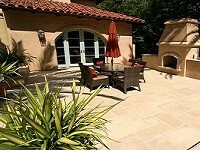 Westside Tile and Stone Inc. is the Largest L.A. Schluter Distributor. Build your dream shower with the help of a Schluter Shower which makes easy to build a waterproof surface for your shower and tile. The Schluter-Kerdi-Shower-Kit is an all-inclusive package that contains all of the components for a maintenance-free and water-tight assembly without a mortar bed. 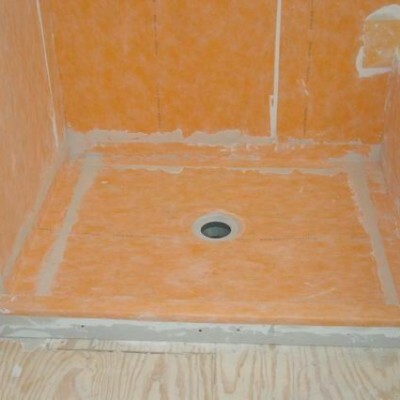 The Schluter-Shower-ST/-SC are pre-fabricated substrates that are made of expanded polystyrene foam that is meant to be used in conjunction with the Schluter-Kerdi waterproofing membrane along with the Schluter-Kerdi-Drain. 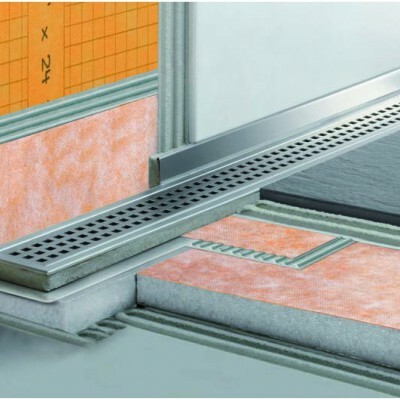 The Schluter-Shower-ST is a pre-fabricated shower tray that is especially suited and designed to be used with the Schluter-Kerdi-Drain. 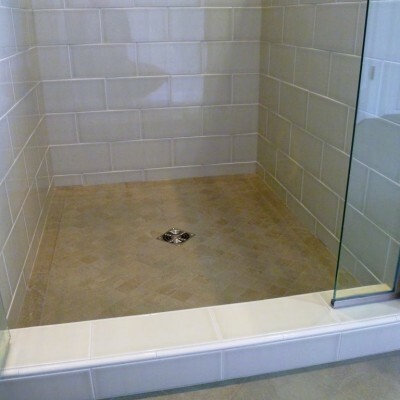 The Schluter Shower Tray is available in 48”x48”, 32”x60”, and 72”x72” sizes. 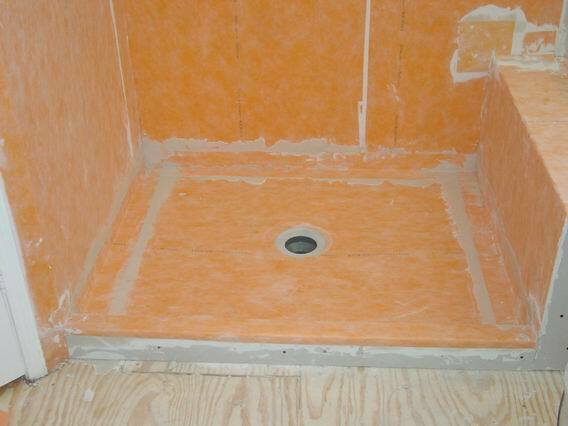 The Schluter-Shower-SC is a pre-fabricated curb that can be used with the Schluter-Kerdi-Shower-ST and its dimensions are 48”x6”x4 ½” The Schluter Shower Kit eliminates the potential for efflorescence, leakage and even mold growth in its easy to install system. 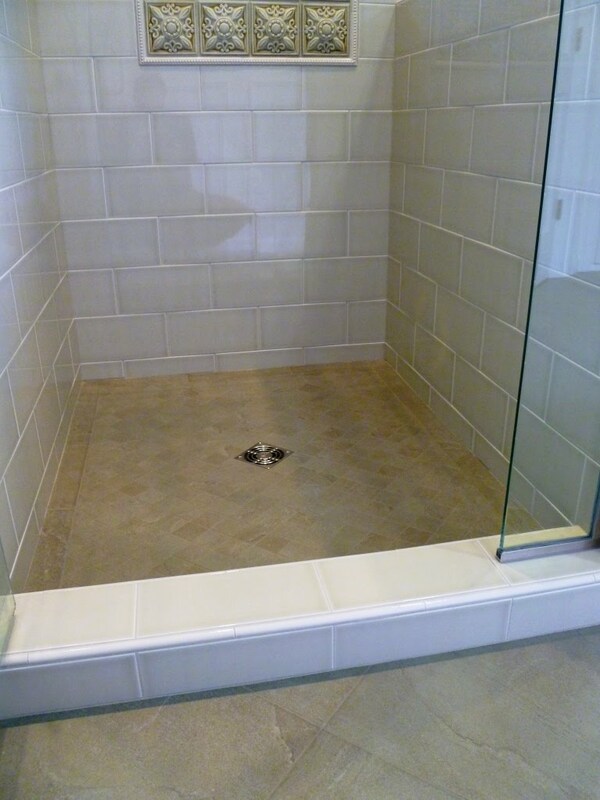 The shower tray and curb are especially useful in a large-scale, repetitive job such as an apartment complex, condominium complex or even a hotel. The easy to install systems reduces total installation time to ensure success and make each shower installation easier than before. The Schluter Kerdi Shower System is meant to be used in conjunction with the Schluter-Kerdi. 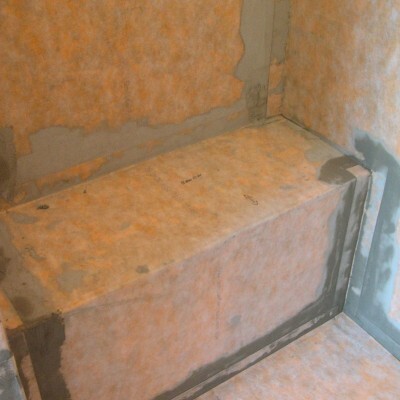 The Schluter-Kerdi is a bonded water-proof membrane that is made of soft polyethylene which is covered on both sides with a special fleece that is meant to anchor in the membrane into the thin-set mortar. The Schluter-Kerdi was developed as a waterproofing membrane to be used in conjunction with ceramic and stone tile installations. One of the benefits of the Schluter-Kerdi is that it is perfectly compatible with the Schluter Kerdi Shower. 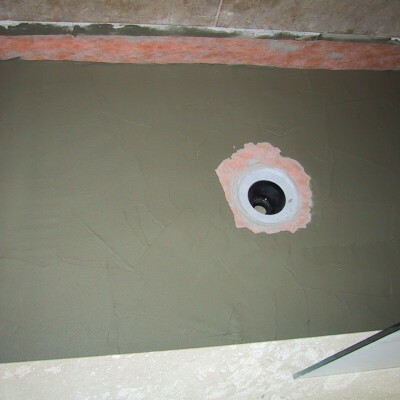 Depending on the substrate that is being used for a particular shower, the Kerdi membrane is an ideal water-proofing membrane that can be applied using a trowel. The Schluter-Kerdi is also available with inside and outside corners which are perfect to be used in combination with the Schluter Shower Trays and the Kerdi Shower Kit. 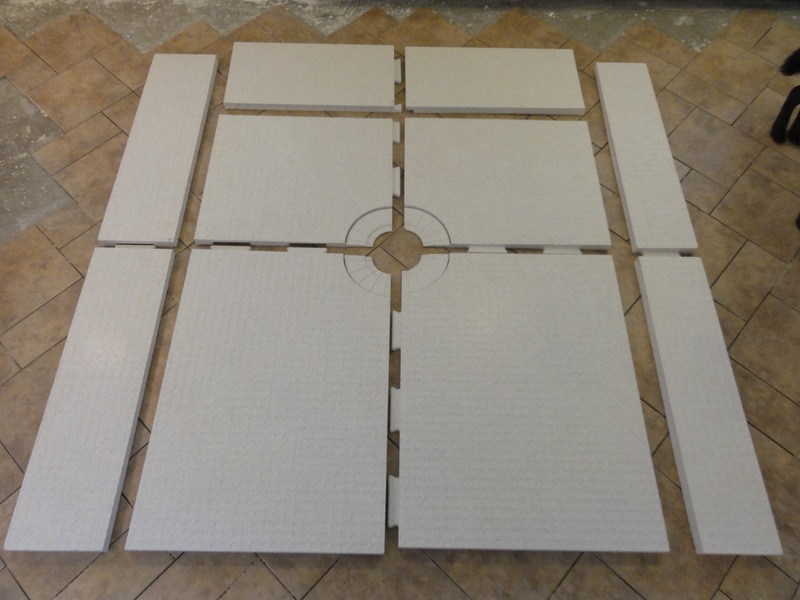 The Schluter Kit comes with 4 inside and 2 outside corners, depending on the size of the shower; additional corners can be purchased in our Beverly Hills Tile Store or our Canoga Park Tile Store. The advantage of Schluter and their catalog of Schluter-Kerdi products is that they are also available in Kerdi-Band form, which is primarily meant for all the shower seams, and pipe collars. 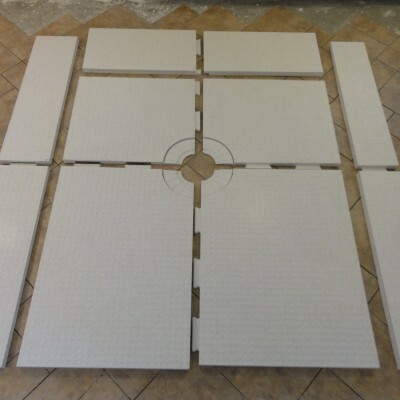 The Schluter-Kerdi-Shower-ST is a sloped tray made of lightweight expanded polystyrene that is made for tiled applications. It is designed to accept the Schluter Drain and the Kerdi Waterproofing membrane. 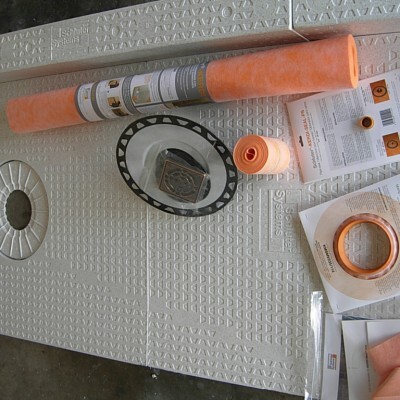 The Kerdi Shower Drain is a floor drain that is specifically designed to allow connections to Schluter-Kerdi or other bonded waterproofing membranes. The Kerdi Drain Kit includes the integrated bonding flange, grate, height adjustment collar, lateral adjustment ring, and an ABS or PVC flange. 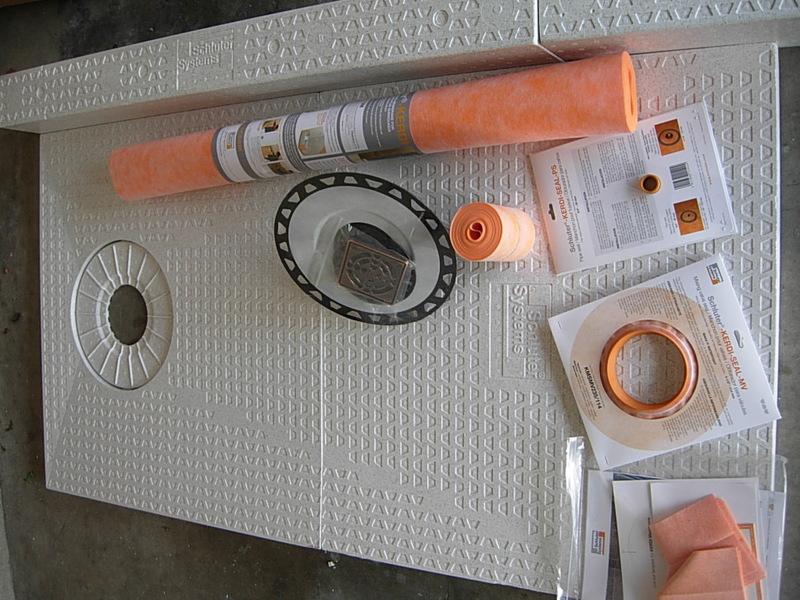 The Schluter-Kerdi is adhered to the drain’s large perforated bonding flange to form a waterproof connection at the top of the drain assembly. The Kerdi-Drain features a square, fully adjustable grate to accommodate ¼” to 1 ¼”. 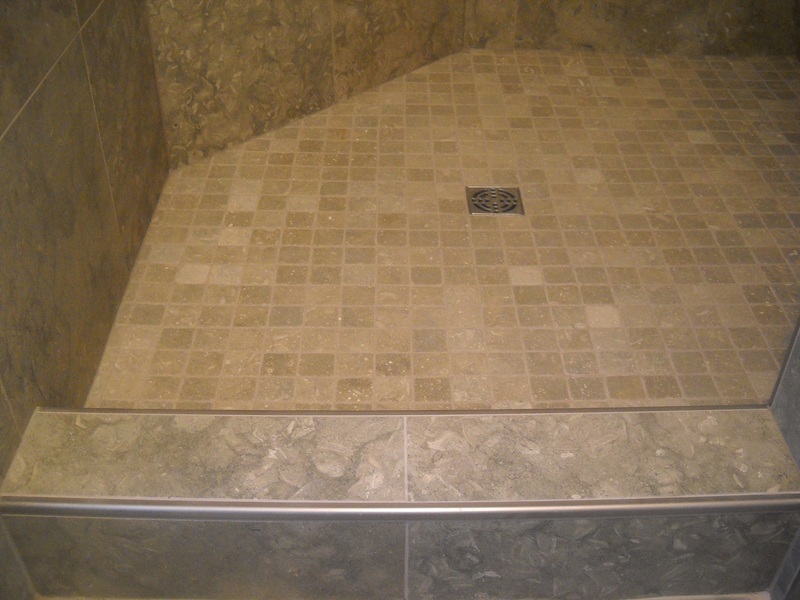 The Schluter Drain is available in a variety of finishes for the grate such as; Stainless Steel, Oil-Rubbed Bronze, Brushed Brass, and Brushed Nickel. 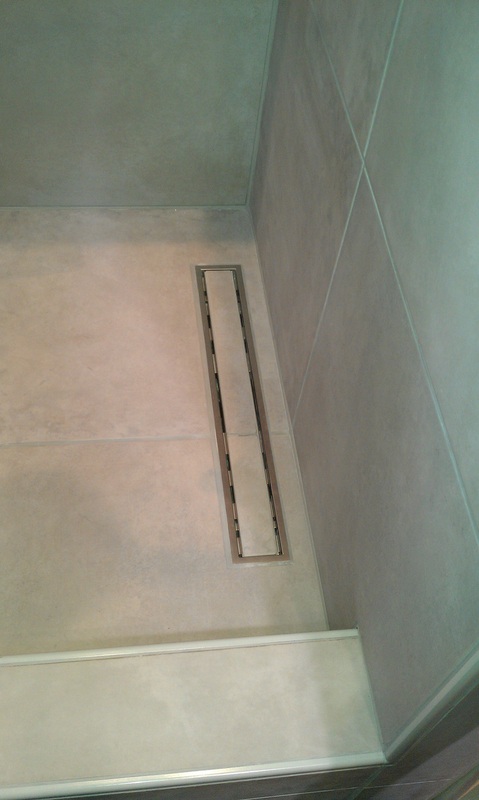 The grate assembly allows for lateral and tile adjustments as well, making it even more convenient to use the Schluter-Shower Pan and its drain system. The Kerdi-Drain is designed to simply integrate with Standard 2” drain pipes, thus making it perfectly suitable for new construction as well as renovation. Schluter Systems also carries a Kerdi-Drain Adapter which is used to convert the traditional clamping ring drains to integrated bonding flange drains when removing of the clamping ring drain is not practical. The Kerdi Drain Adapter features a stainless steel adapter ring with an over-molded rubber gasket that is meant to replace the clamping ring and is sealed to the existing drain body using the Schluter-Kerdi-Fix. 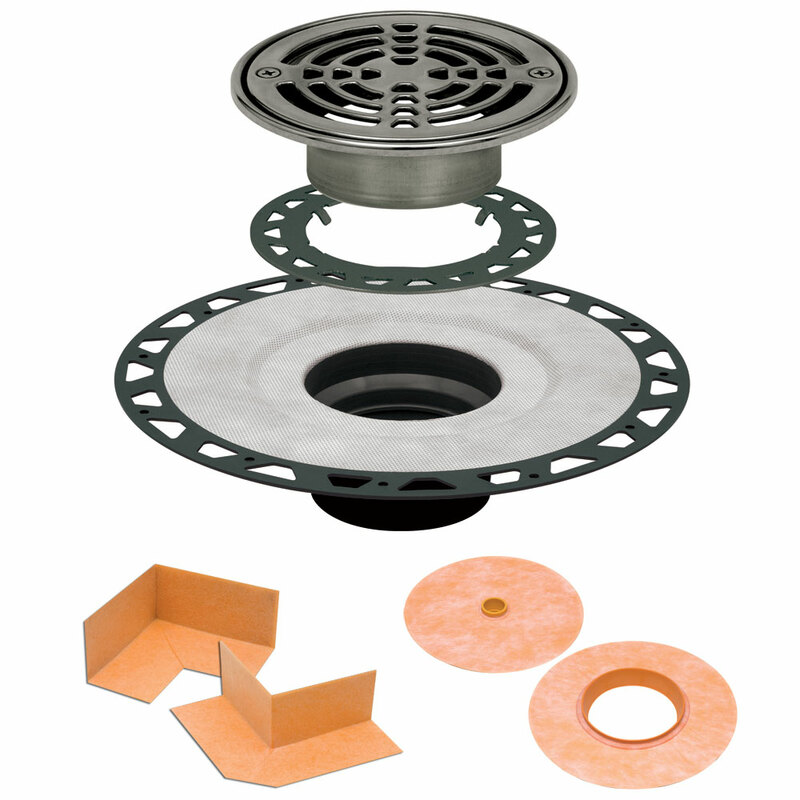 Schluter also carries a Commercial Drain Adaptor Kit which features a stainless steel bonding flange or an ABS bonding flange. 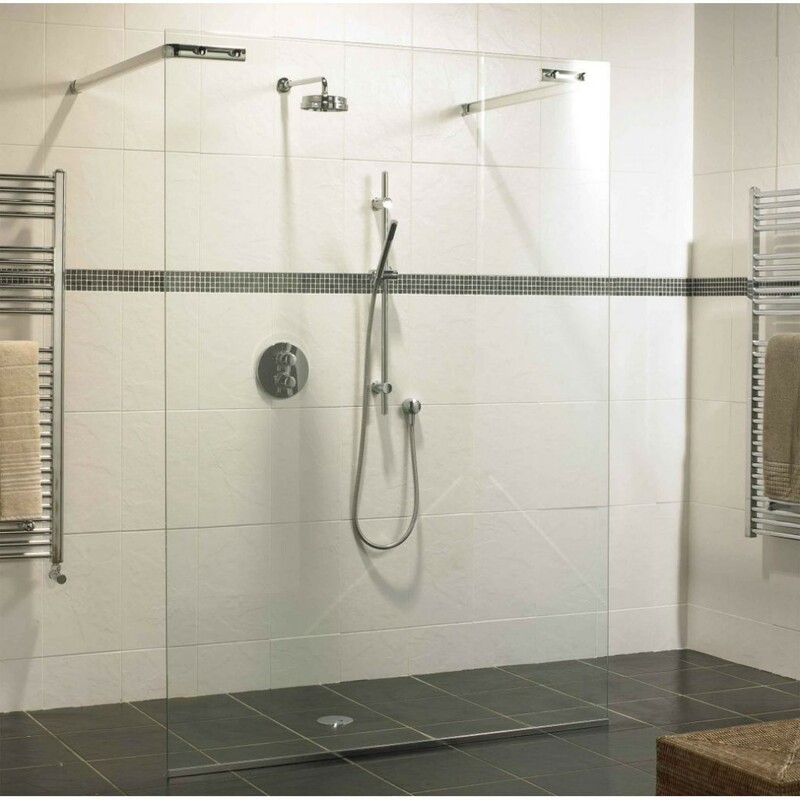 The Schluter Shower installation is easier to use than before and is meant to be user-friendly with all their available products and simple instructions. 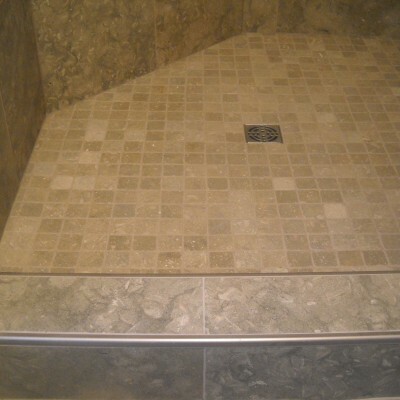 The Kerdi Schluter Shower System is an excellent choice for any individual that is seeking a curbless shower pan or the traditional Kerdi Shower. One of the advantages of using the Kerdi Shower Pan and the Schluter Shower Base is the ability to water-proof the entire shower using Schluter products. 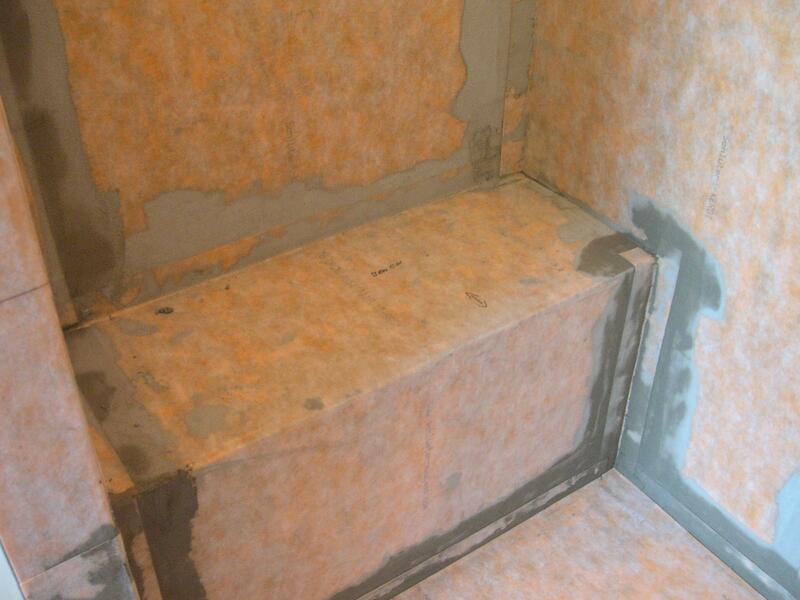 Schluter is the ideal product to use in a steam shower application and curbless shower pan. 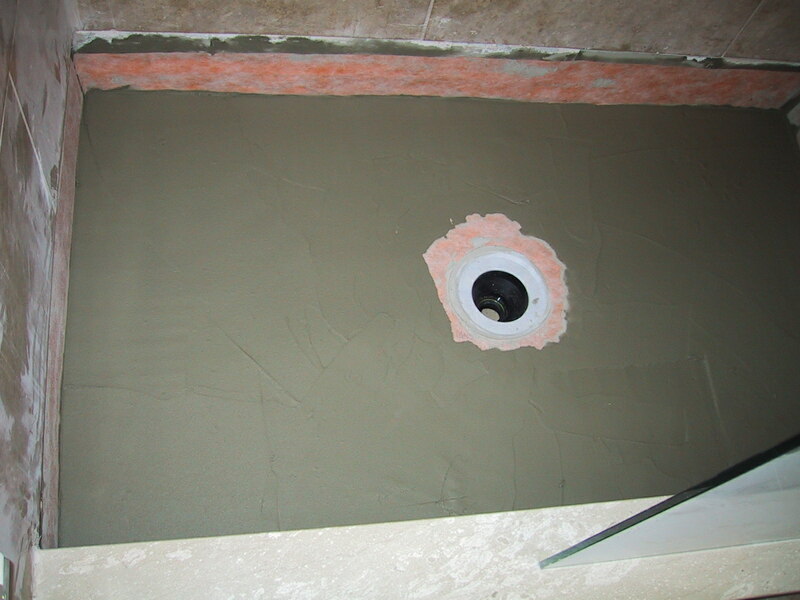 The benefit of the Schluter-Kerdi and its system is that you can apply the water-proofing membrane all the way up the walls and the ceiling as your required waterproofing material. 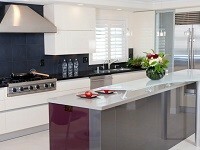 There is no need for the traditional hot-mop application, nor the traditional shower pan and the shower pan liner. 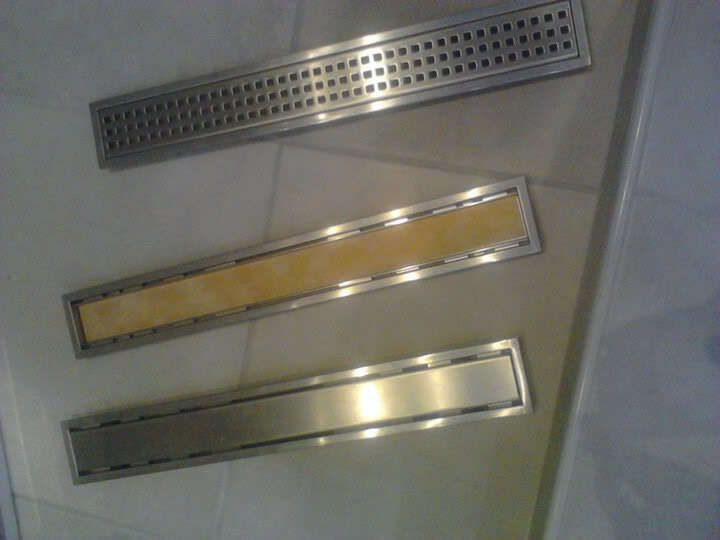 Schluter KERDI-SHOWER-L/LS Linear Shower Trays are compatible with all KERDI-LINE Linear Drain assemblies. One of the greatest advantages of the Schluter Shower and its system is the ability to adapt to its line of Kerdi-Drains. The Schluter Pre-fabricated substrates are meant to provide alternatives to the traditional shower bases which are constructed out of mortar. The newest drain system to be introduced from Schluter is the new Kerdi Line. The kerdiline is a low profile linear floor drain that is specifically designed for waterproofing assemblies. The Schluter-Kerdi-Line can be installed adjacent to walls or at intermediate locations in showers, steam rooms, wet rooms, or any other application which requires waterproofing and drainage. 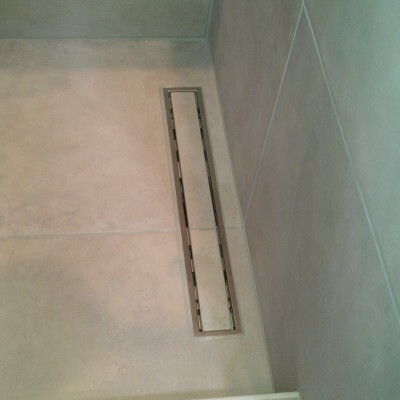 The Schluter-Kerdi-Line is perfect as a curbless shower drain for it consists of a formed stainless steel channel body and a grate assembly that can be seamlessly adjusted to the thickness of the ceramic or stone tile of your choice. 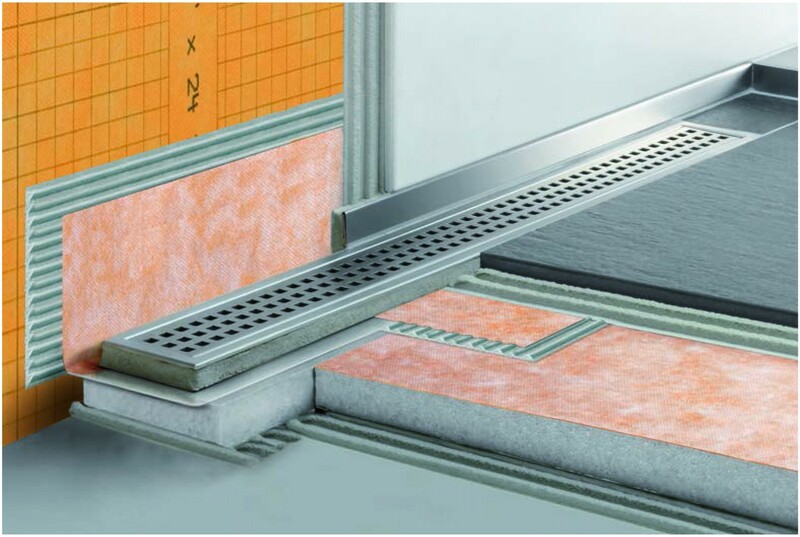 The Schluter-Kerdi-Line is available in channel lengths from 20” to 48” in 4” increments. 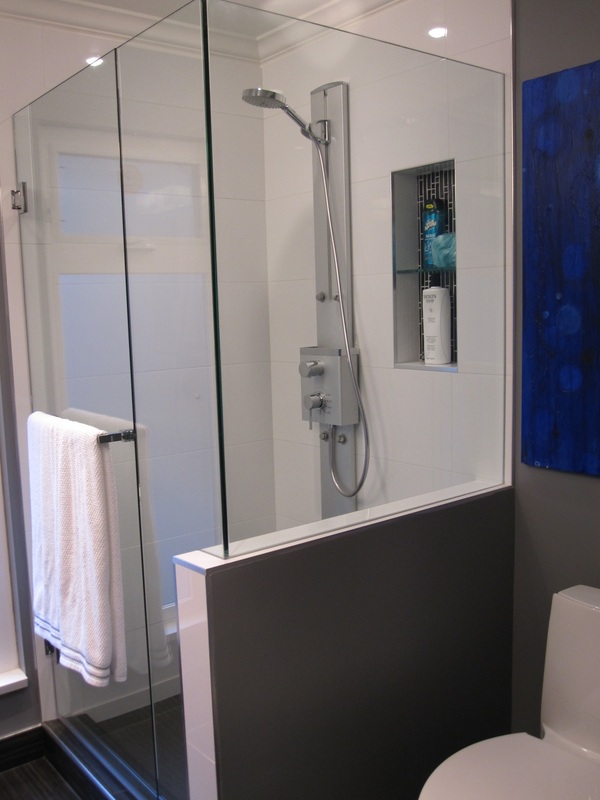 The Schluter Kerdi-line is extremely popular in walk-in shower designs for its modern and sleek look is exactly what our customers are looking for in a curbless shower drain. As you can see the Schluter Shower and its Kerdi Shower elements is perfect for anyone looking for the ultimate water-proofed shower. Westside Tile and Stone, the Largest L.A. Schluter Distributor offers you to purchase Schluter® Shower products for your tiling project. With more and more of our customers building curbless showers and steam showers, the Schluter Shower kit is the perfect fit for any contractor or home-owner. The variety of components that make up the Schluter Kerdi Shower with its Kerdi-Drain and Kerdi membrane are manufactured specifically with the consumer in mind. 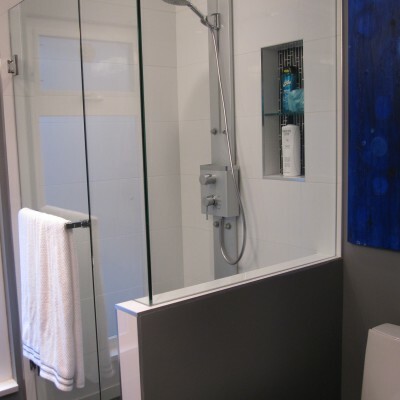 With more of our customers requesting the ability of creating curbless showers and implementing linear drains into them, Schluter products are the perfect fit for this. The Kerdi-Drain and the Kerdi Shower pan that is pre-sloped have revolutionized the ways showers are built and constructed. We are happy to be Southern California’s number one independent Schluter Dealer and proudly stock all the necessary items and tools needed to building your own curbless shower and linear drain system. 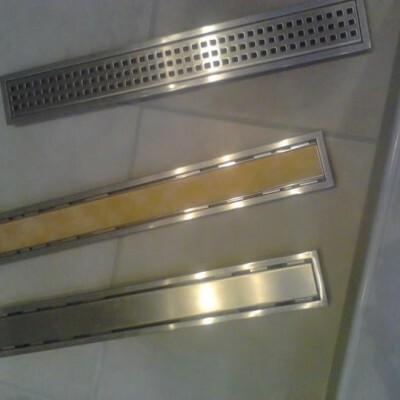 We stock a majority of the Kerdi-Line linear drains in a variety of sizes along with the various grate options. Please make sure to visit either of our two Los Angeles tile showrooms or contact us to help you implement these amazing products into your next bathroom installation.